Last year, Samsung launched the Gear S3 Frontier smartwatch in the Indian market. The wearable was released for Rs 28,500, but has been retailing for around Rs 26,900 through select channels. Now, the company has quietly dropped the price of the smartwatch by around Rs 4,000 in India, suggest our retail chain sources. According to our sources, the Samsung Gear S3 Frontier smartwatch is now available in India for Rs 22,990. Starting from December 24th, the wearable is being sold via retail stores across the country at the reduced price tag. It’s worth mentioning that Samsung’s official e-commerce store in India is still selling the smartwatch at the original price tag of Rs 28,500. We will update this story as soon as the brand officially announces the price drop, so stay tuned. As far as the Samsung Gear S3 Frontier’s features are concerned, it is a durable smartwatch with up to four days of battery life. The rugged wearable sports a rubber strap and military-grade protection, apart from IP68 certification for water- and dust-resistance. 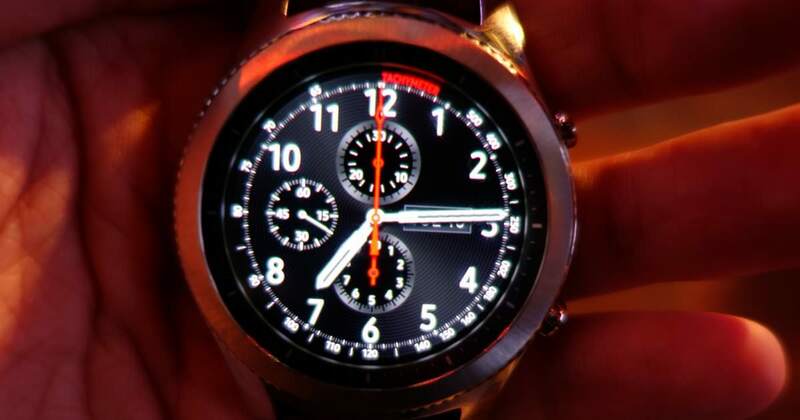 The device can be equipped with any 22mm watch strap from third-party manufacturers, apart from Samsung. The device flaunts LTE connectivity, and is loaded with a microphone and speaker to let you take calls on the go. Moving on to the other specs, the Gear S3 Frontier gets a 1.3-inch Super AMOLED circular display with a resolution of 360 x 360 pixels. The device is powered by a 1GHz dual-core processor, aided by 768MB of RAM and 4GB of storage. Software-wise, the wearable boots the brand’s in-house Tizen operating system. The accessory is equipped with over 1,000 watch faces to let you customise its appearance. The connectivity features include NFC, Wi-Fi, and Bluetooth. A 380mAh battery keeps the smartwatch running. The Gear S3 Frontier is also boasts built-in GPS to track your fitness activities even without pairing the device with a smartphone. Notably, the smartwatch also alerts you to changes in atmospheric pressure, which lets you keep an eye out for weather changes.